Out of those interviews came Warrior Lawyers, which includes 15 interviews with lawyers helping environmentalist groups and individuals navigate the law in order to help save the earth. 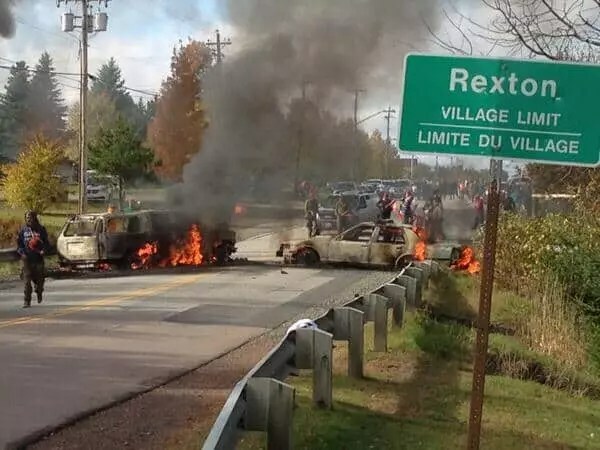 I’m going to limit this review to looking briefly at two of the interviews, one of which prompted Mr. Cameron to begin this project, and the other that deals with the practice of fracking, which sparked not only deliberations here in New Brunswick, but protests, arrests, and torched police cars. The first interview in Warrior Lawyers is with David Boyd, and it was at a lecture he gave in 2012 at Dalhousie University that changed Mr. Cameron’s life. Mr. Boyd is an environmental lawyer and a proponent of the belief that humans have a constitutional right to a healthy environment. This interview was as eye-opening for me as it was for Mr. Cameron back in 2012. From this initial interview, you are pulled into the fight for a healthy environment, because yes, it is an inherent right for every living thing. Warrior Lawyers is a must read for any Canadian who is even remotely interested in environmental issues and a healthy world for generations to come. The interviews are surprisingly pleasant and easy to read. These lawyers are people first, lawyers second and Mr. Cameron while being well-educated and knowledgeable, lets the interviewee do the talking, never does he become intrusive at any point. I found that reading an interview is quite different than watching one. With reading, you take the place of the interviewer, thinking: “yes, good question, Mr. Cameron!” and you can dwell on the response more. However, watching one of these interviews is fascinating because you get to see the passion these people have for the environment. Warrior Lawyers and The Green Interview website are both valuable resources that one can have access to (on a monthly or yearly membership basis) for a reasonable fee which is strictly used to support research, travel and technology expenses. Warrior Lawyers is available from Amazon.ca in paperback or Kindle edition formats.